Citric acid (E330) is widely used in food and beverage, animal feed, metal treatment, pharmaceutical and personal care industries. Growth of these industries will boost the market in the future. 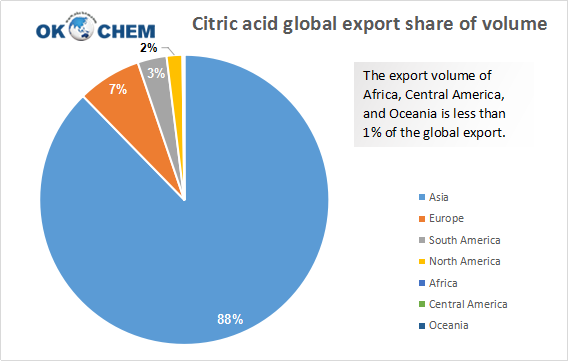 According to the a research from Future Market Insights (FMI), the global sales revenue of citric acid in 2015 was close to 2.8 billion US dollars, and will possibly reach 4.5 billion US dollars in 2026. During 2016 to 2026, compound annual growth rate (CAGR) is estimated 4.6% for sales revenue and 3.7% for sales quantity. More customers tend to choose products with natural or nature-based ingredient for health purpose. Phosphate is banned in some countries and areas, which made citric acid, a good replacement, more popular in the market. In instant food and beverage, it acts as sour agent; or an antioxygen and flavor enhancer as food preserves. 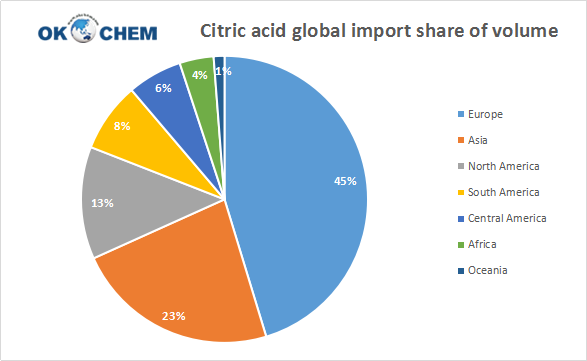 Citric acid (E330)as an acidifier will take the biggest market share. The CAGR of this application will reach 4.2% in 2026. Sales revenue of acidifier citric acid was 964,827 metric tons. Citric acid used as cleaning agent will be the second biggest game player. Citric acid (E330)in powder form will share the biggest part of the market in terms of sales revenue and sales quantity. Its sales quantity was 1,480,566 metric tons in 2016 and CAGR will reach 4.7% during 2016 to 2016. Liquid citric acid is more expensive and might have a lower growth. Its market is subdivided to food grade, pharmaceutical grade and industrial grade. In 2016, food grade had the biggest market share, which was 67%. Food grade will mostly keep its top rank in the next decade and CAGR of sales quantity will be 4.1%. industrial grade will have an outstanding growth in the next decade, with 4.3% CAGR of sales revenue. Its global primary suppliers are Archer Daniels Midland (ADM), Pfizer, Cargill, and Captain Drake LLC in the U.S.; Jungbunzlauer Company in Switzerland; Tate & Lyle in UK; Shandong Ensign, Zhongliang, HongdeChem, and Rizhao Jinhe in China.